Among the well known Japanese developers there are a few lesser known companies that are willing to take risks with unique ideas and few take as many chances as Nippon Ichi Software. While they have their mainstay franchise the developer has been experimenting with a number of fun takes on different genre over the years and now with The Princess Guide offering a unique take on a hack and slasher with a dash of RPG mechanics, is the game worth your time? After fighting countless battles and coming out as a heroic warrior capable of winning almost any battle, players step into the shoes of a retired soldier who can be named and customized as either a male or female with a handful of different personality traits that slightly alter dialogue from time to time. Through their exploits the warrior has managed to become known far and wide both on the battlefield for their skills but also from their knowledge as numerous books and articles have been written before the plot begins about the player’s capabilities as a soldier. As such when four different princesses put in a request asking to be trained by this soldier, it is up to the player on who they want to train. The four princesses players have to choose from are not only extremely lively and unique feeling from one another but also have a different feeling to them. From the way they address the player character, such as Hero, Boss, or simply Teach their personalities really shine through thanks to the localization efforts from the team. The four girls happen to be the dragon priestess Alpana who is rather demure and is highly religious, the ever hungry and energetic Liliaretie that manages her own personal king’s guard, a child prodigy named Veronica whose magical powers have catapulted her to the top of her guild and left her with a cocky attitude, and Monomaria who has fallen into mercenary work to survive her family’s fall from grace. Now it is worth noting that while you may start training only one princess players will still eventually be able to work with them all throughout the game before putting more of their focus into finishing off the game’s storyline with a specific princess. This means that players will still be able to see a bit of what each girl has to offer and their personality before delving deeper into a certain storyline which is a nice touch. That being said, some storylines do play out in a more entertaining fashion than others though this can come down to personal preference depending on who you end up taking a shining to the most, though even the lesser stories still hold up rather well thanks to some strong writing for these girls. After selecting which one of the four princesses players will want to start with they will find themselves placed in an overworld where they can command either their own hero, the princess, or hired commanders, to move around the map. 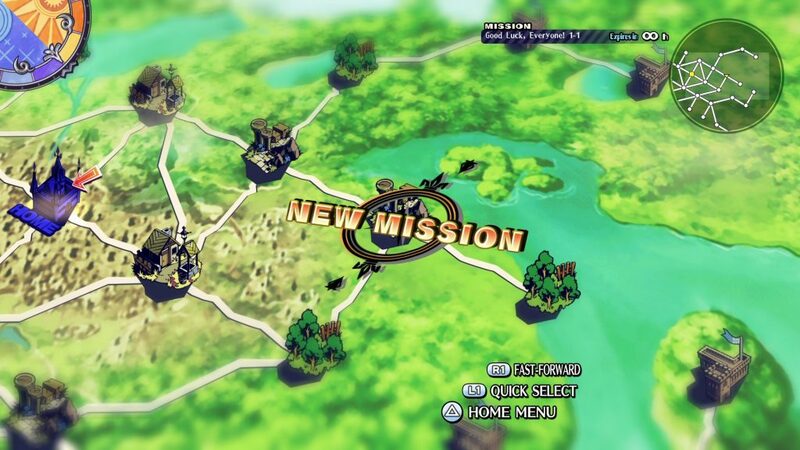 The world map will feature a number of little nodes as well as enemy units that move around the map but for the most part moving between these nodes is a simple affair with some containing treasure chests and others starting either main missions, side missions, or simply dropping the current unit into a fight for grinding purposes. Once an enemy is encountered that commander will enter the battle alongside a small collection of soldiers that accompany them in every mission. 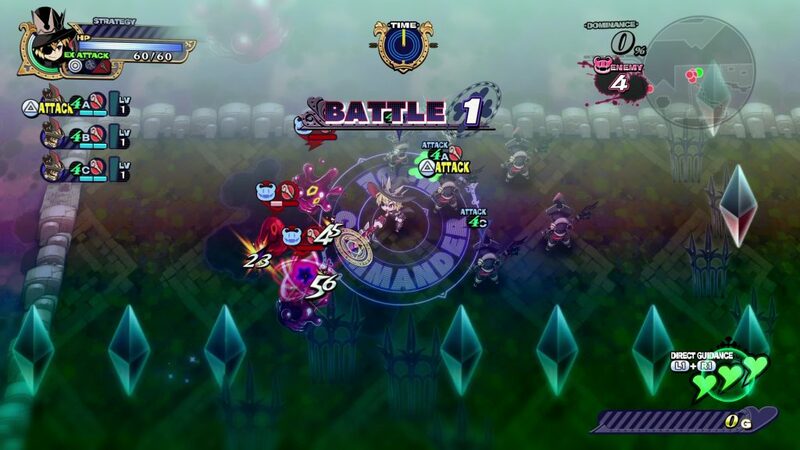 These fights will take up the majority of your time in the game as players must travel through a dungeon area and defeat foes along the way to reach the end or simply survive against waves of foes by using hack and slash combat techniques. Every princess plays in a different manner with their special abilities while other units mostly fall into standard hack and slash style with certain skills being derived from the current weapon they have equipped. Fighting against the waves of enemies in The Princess Guide can be both fun and frustrating at the same time depending on the layout of a stage and the enemies you happen to be facing off against. Players have no ability to actually block incoming attacks and depending on how many enemy types spawn at a time and the layout of the map, a quick loss can be ensured no matter how prepared you might be. 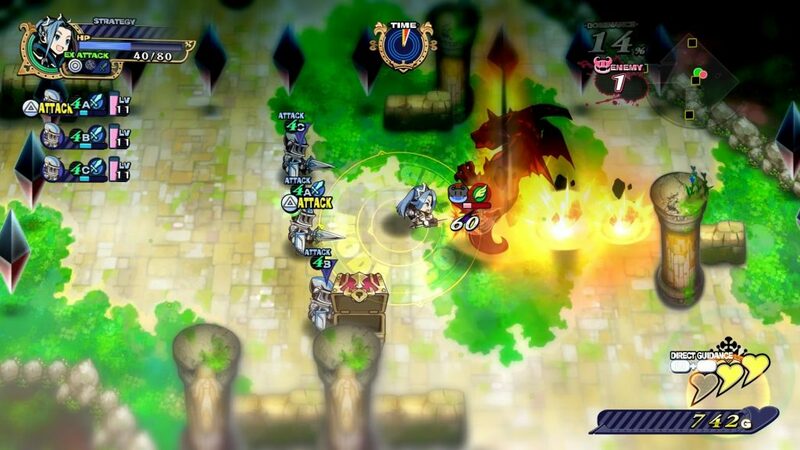 This is partially due to the fact that healing units in this game is fairly limited when not controlling the princess as you must either take possession of limited mana tower relics scattered throughout the area and receive healing from them or acquire a high enough dominance level for that stage that you can initiate a “triage” strategy. Relics generally can be used as traps that can be triggered to deal damage to enemies while strategies provide various boosts to the commander’s soldiers though you will want to be prepared beforehand as enacting a strategy requires an annoying number of button inputs if done in the middle of a fight. Unfortunately even the fun aspect does begin to fall by the wayside after you’ve spent enough time grinding that the combat begins to feel a bit monotonous but more on that in a bit. With the princess players will at least have one additional maneuver to fall back on and that is the “Direct Guidance” mechanic. Players can use this mechanic three times every stage to either praise or scold the princess and provide a number of buffs to her. This generally can be used to restore her health or give a boost to various stats and it can really help turn the tides of a losing battle, especially since you can even guide the princess from the clutches of defeat and potentially revive her. This guidance also comes into play with Materia that will be used to actually power up the princess’ various stats. By defeating specific enemies, claiming relics, simply winning battles, or being praised and scolded enough times various Knowledge Materia can be earned and then applied to the girl back at base. These various boosts do help strengthen the character and even unlock additional skill points that can be used to power up the teacher commander as well, though you will need to do some needless digging to actually find out how to properly boost their stats. Properly boosting both the teacher and the princess’ abilities is essential to properly beating the game as there will need to be some grinding involved to complete some later battles in the game. Unfortunately these difficulty spikes often feel like they arose more of the game’s design choices rather than being unprepared for a fight so it usually ends up falling down to making sure you can and power through these spikes more than anything else. If there is one thing that The Princess Guide happens to excel at is being very colorful and featuring some nicely drawn character portraits even if they do animate like someone put them on fast forward. Every one of the four princesses’ unique personalities shines through in their design and even the chibi designs of the characters when they enter battle are nicely handled. That being said, players will notice that the text formatting in the dialogue segments can be rather rough at times with only a few words taking up an entire line, not something that is truly a problem but an odd choice. 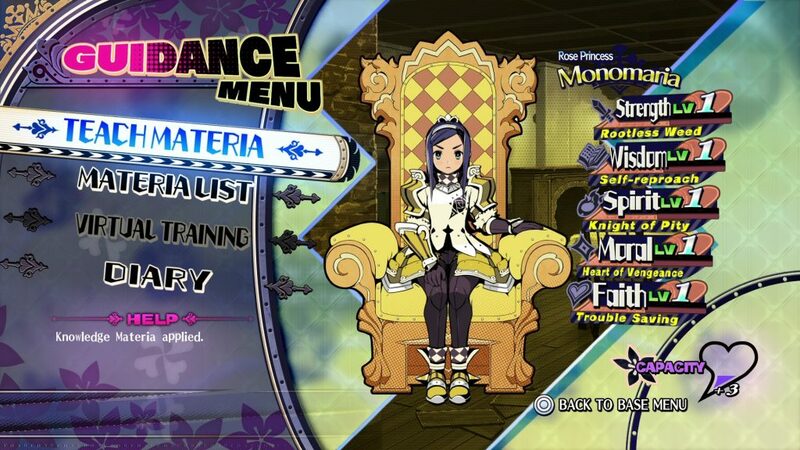 With the release of this game NIS America has only provided the original Japanese voice track which works well enough as the characters are all handled well enough here with the soundtrack featuring a nice mix of music that fits for both battle and the many dialogue scenes throughout the game with special attention being given to each of the girls’ main themes. 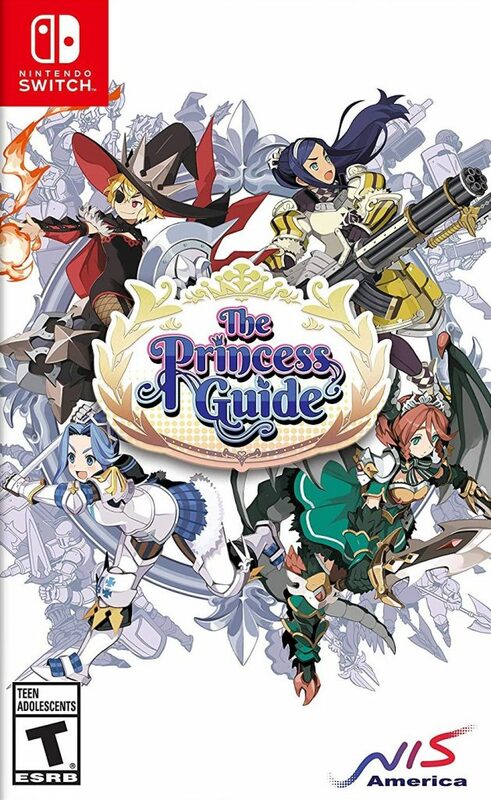 The Princess Guide is an interesting little game that has quite a lot of charm to it. Almost every one of the four princesses that you can teach in the game are great in their own ways and the odd style of combat makes the game great for short bursts of play if you happen to be taking the Switch on the go. That being said, the amount of grinding you will need to do to overcome certain design choices and some frustrating menu designs drag down the experience. 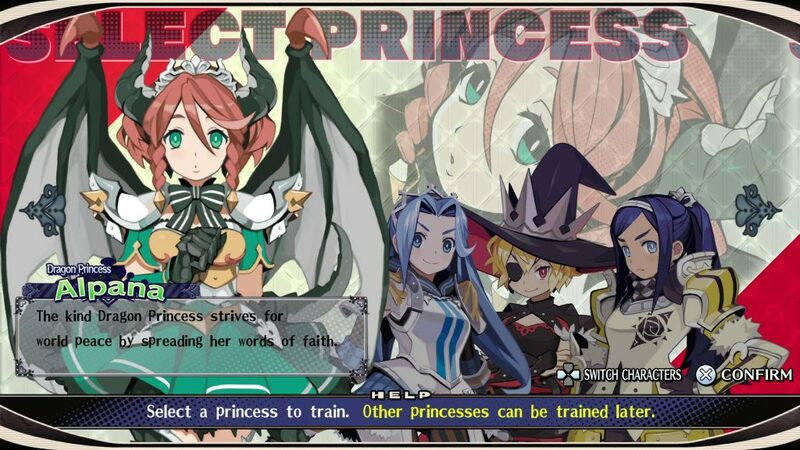 The Princess Guide presents players with four great princesses and some enjoyable storytelling but be prepared for its decent combat system to become monotonous due to the necessary grind.